Dr Esfahany Smith, a Professor at Stanford University, has published a book called ‘The Power of Meaning: Finding Fulfilment in a World Obsessed with Happiness’ where she discusses the meaning of life. She mentions that current international suicide rates are the highest they have been in 30 years, and her research shows the primary reason is that people are struggling to find meaning. They struggle to find worth in this life. It’s not hard to see why. We are getting shouted at from all sides to look, act and be a certain way. Advertising, media, friends, family, and our culture all have standards that we feel compelled to live up to. We are surrounded by pressures and are influenced by the world around us. This is so true of us in South Africa. Perhaps you feel personally attacked when someone of your race or culture is spoken ill of or misunderstood. Perhaps you’re the only one in your family with a university degree and are therefore the one expected to support others in the family. To say that we are not struggling with identity in some way is a fallacy. 1. How we usually try solve our identity problem. 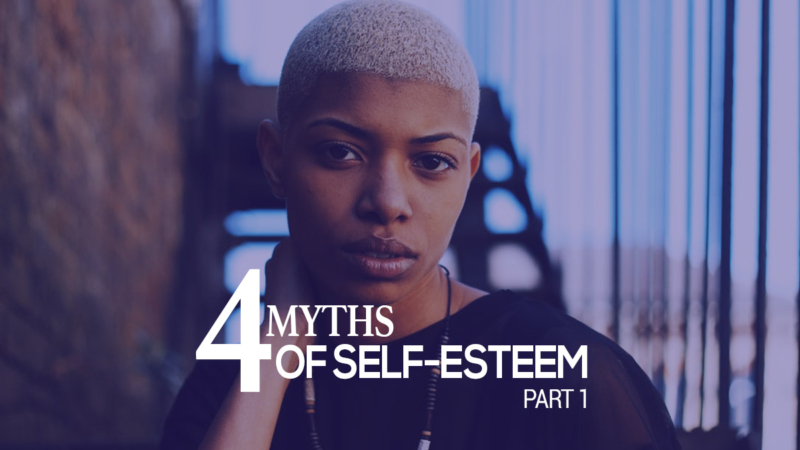 Here we’ll consider some Self Esteem myths. 2. What’s the bible’s solution to our identity problem. Self-esteem myths – How do we try and solve the problem? Before we get to the Bible’s solution, I’m going to do a bit of myth busting, because there is a lot out there telling you how to view yourself. 1. The moment you achieve a high self-esteem in one area, you’ll find something else that doesn’t live up to your expectations. We aren’t living in a perfect world, so you might get a nose job because you feel a bigger/smaller/straighter nose will make you feel better about yourself, but then you discover that your ears are too big, or that you’re not doing well enough in your job, or that you are failing as a parent, etc. 2. Once you become good at everything, it’s incredibly difficult to stay humble. In other words, you become a jerk, according to Dr Roy Baumester, who is considered the world’s leading expert on self-esteem. In modern psychology, there are four areas of your life that make up your self-image: your Pedigree (your heritage, background, culture, the school you go to), your Performance (things you do in everyday life – your job, your role in your family), your Significance (whether you feel like your life has meaning), and your Acceptability to others (how much you are liked). Can you imagine how hard it must be to achieve all these; you’d need to be happy with your background, achievements in life, contribution to the world, and with how other people view you. To achieve this, you ulimately become narcissistic, because all you are doing is focusing on you, how you are doing in your roles, if you have the right pedigree, etc. 3. You became a pain to those around you, because they can’t compete with you, according to Dr Baumester. I’m sure that everyone reading has had someone in their life that they feel is just “so perfect”. They’ve got the perfect job, the perfect car, the perfect family and the perfect partner. You might like them in the beginning, but eventually you feel like you just can’t relate – every time you speak you end up feeling inadequate, while they seem to have life sorted! 1. If you reach your full potential, what next? If a tennis player becomes the greatest tennis player, what then? Or what about a movie star who finally gets the Oscar, what then? Listen to this extract from an interview with Matt Damon. At 27 years old, after 10 years of hard slog in the film world, he won an Oscar for ‘Good Will Hunting’ which he co-wrote and starred in. You’d think that he’d have a staggeringly high self-esteem; but instead he says; “What if I made my life all about this?”, it would be a waste, because it can never fulfil you. 2. You think that by doing something great, you’ll be remembered. Dr Baumester did some research at Princeton University and the statistics showed that almost no one is remembered after they die. Think about it, 100 years from now, not even Steve Jobs will be remembered, because technology will move on, life moves on. Myth 3: Ignore the negative. In reality, you can’t keep a high self-esteem, so what people will do is try to deceive themselves. They might think positive thoughts, tell themselves daily that they are good enough, read books and watch movies that make them feel good about themselves, and avoid the things that aren’t great at. What you are really doing is deceiving yourself into believing that there is nothing too bad about you. Robbie Williams, the 18-time Brit award-winner said; “Do you know how I get through being self-critical? Never listen to it, ever. If I listen to it, perhaps my deepest, darkest fears will be proved right, and then I wouldn’t get onstage again”. The problem is that we all need to listen to criticism to grow. Criticism, while it may feel negative, is often what is needed to see our ‘blind spots’ and change. It’s a myth because no-one ever does. 1. Confucius was a Chinese Philosopher around 2000 years ago, and he said that the problem with trying to find yourself was that you’d only find yourself ‘then’. We are multi-faceted, and we change all the time. Nobody’s life stays constant. You don’t live your life in vacuum; and the one constant in your life is that it will change. Your job may change, your friends may change, you’ll move countries, you may get married, have children, get divorced, lose loved ones; and whether we like it or not, those things impact us… and very soon we’ll change and need to go and find ourselves again! 2. Another problem that Confucius mentions is that this thinking becomes completely self-consumed, so people don’t contribute to society and to the friendships that surround them. Life, for this kind of person, is all about ‘me’. They miss out on the joy of helping others and the joy of playing a significant part in their cultures and societies. The very first thing we learn about ourselves is that we were not created in our own image, we were created in God’s. This is monumental! It tells us that the problem is not our self-image, the problem is that we think we have a “self-image” in the first place. We don’t have a self-image; we have a god-image. We were made to reflect God and NOT ourselves.